Kenya, a Florida teenager, believes that her peers are more likely to listen to her if she looks like a peanut-butter-and-jelly sandwich. And she just may be right. 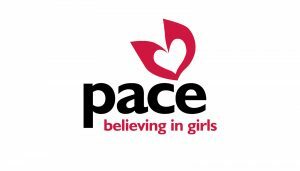 She and some of her friends at the Treasure Coast site of Pace Center for Girls, a nonprofit serving at-risk girls, made a video encouraging Pace participants to respond to a survey meant to gauge what they think about the organization and its programs. The girls made the video on Snapchat, a popular social-media app, using its many features, like filters that distort images or add silly graphics. Hence, when Kenya introduces herself at the start of the video, she looks like a peanut-butter-and-jelly sandwich. “We wanted to get our point across, send them a message, but still have fun,” Kenya says. The message to participate in the Listen for Good survey was indeed heard, say Pace staff members, as participation rates grew from 82 percent the first time it was administered, to 89 percent the next time, and 93 percent in the latest round. Lymari Benitez, PACE’s director of program evaluation, says it was crucial to get the girls to see the feedback surveys as something worthwhile and empowering, not just another form to fill out or test to take. “We wanted the whole experience to feel like free expression, so we knew right away, we’d want the girls to get involved and lead their own advocacy,” Lymari says.